Vanillekipferl are one of our favourite homemade cookies. Bite into this yumminess and imagine you are in one of Vienna’s coffee shops enjoying this special treat. Honestly, I have never been to one, I just always make my own vanillekipferl and enjoy them with friends and family. 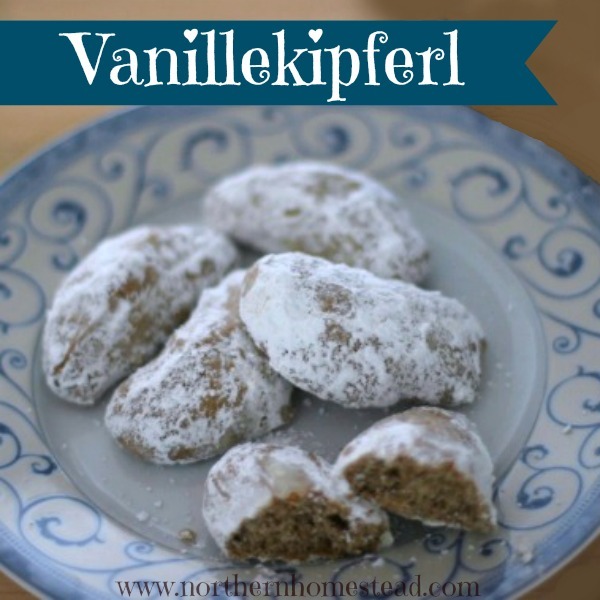 Vanillekipferl can be enjoyed year round, but I find they are best after the snow covers the garden, and winter sets in to stay. I like to use freshly ground whole grain spelt flour and organic sugar to make this treat a little more wholesome. 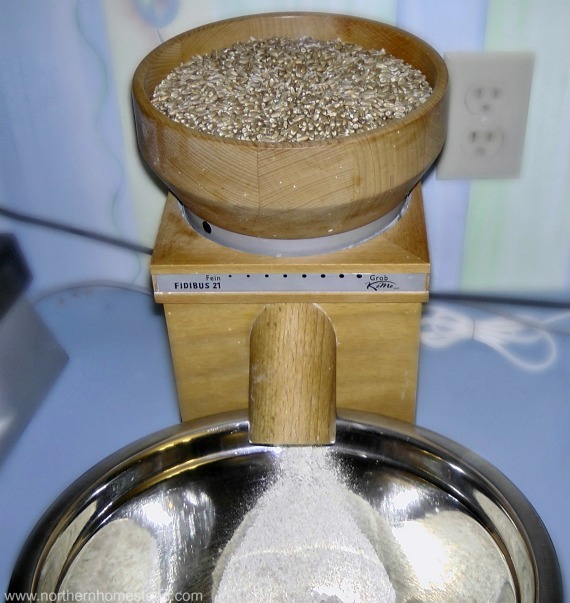 Our Fidibus grain mill makes a fine flour, great even for special cookies. Having a KitchenAid Stand Mixer is very helpful for this recipe, it will do the work for you. 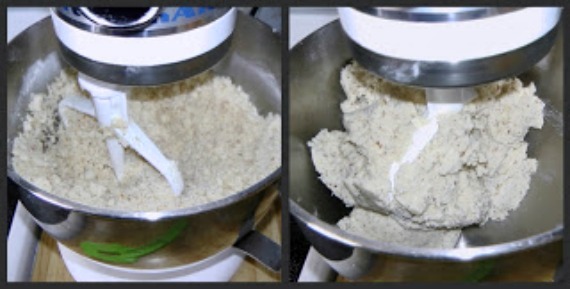 The mixture will be scramble at first but as the butter works in more it forms into a nice dough. Forming the vanillekipferl takes a bit of practice, but don’t worry, it is easy. Take the dough out from the fridge and knead small pieces till they soften a bit again, and then form rolls that are approximately half an inch thick. Cut the rolls into 2 inch pieces, and bend the pieces into the shape of a semicircle (just like a croissant). 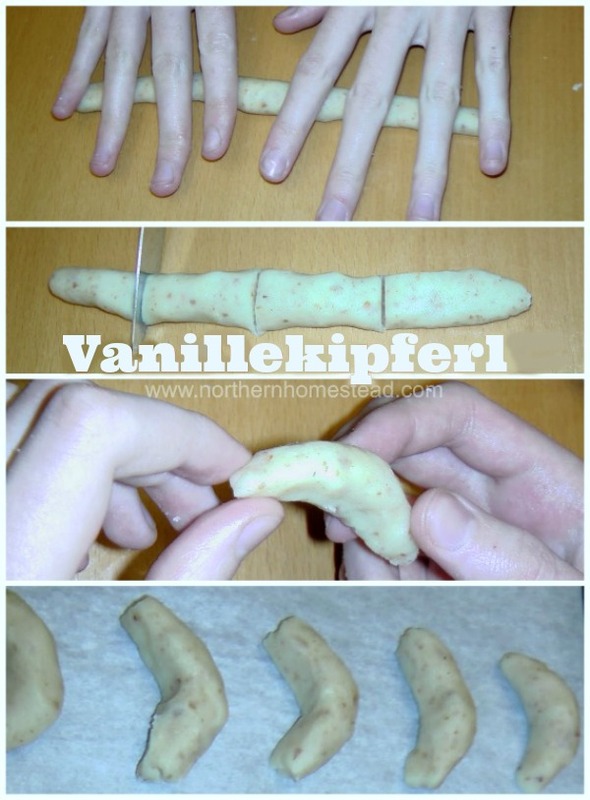 After the vanillekipferl are baked, while still warm, dip them in a mixture of icing with vanilla sugar. Hire’s a lil tip: You can make your own icing sugar in a high speed blender using an organic sugar of your choice. It will not be as white, but it will be better for you. The vanillekipferl store well in an airtight container, and taste so good that you will not have to worry about expiration dates. Combine all ingredients and mix into a dough, I let the KitchenAid Stand Mixer do this. It will be scramble at first but as the butter works in more it forms into a nice dough. Put the dough in a plastic bag or wrap and refrigerate for at least half an hour. Take the dough out from the fridge and knead small pieces till it softens a bit again and then form rolls that are approximately half an inch thick. Cut the rolls into 2 inch pieces, and bend the pieces into the shape of a semicircle (just like a croissant). Bake by 400F for about 10 -15 minutes. 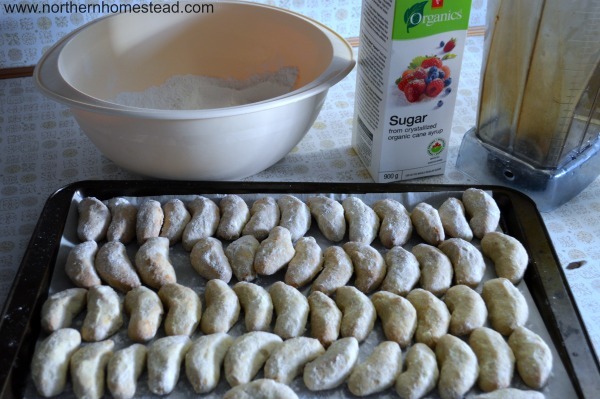 While still warm dip them in a mixture of icing sugar with vanilla sugar. How nice that you got to enjoy the authentic vanillekipferl through your aunt.